Florida is the third largest state in the country in terms of both population and GDP. If Florida was a country, it would be in the top twenty of the world. Florida’s economy is larger than Saudi Arabia’s or the combined economies of Argentina and Peru. Florida has a lot more to offer than most people are aware of and is a worthy spot for tourists, homeowners, and investors alike. 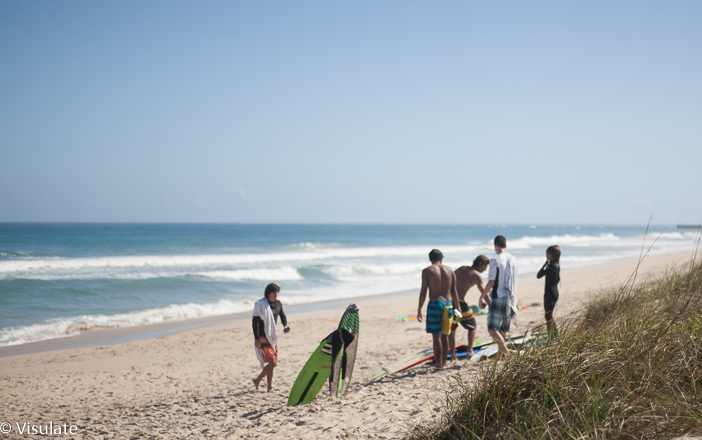 With a record 89.3 million visitors in 2012, Florida is the most popular travel destination in the world. This makes tourism Florida’s largest industry, contributing 57 billion dollars to the state’s economy annually. The most popular cities for tourists are Orlando, Miami, Key West, and Daytona Beach. Florida’s second largest industry is agriculture, contributing more than 100 billion dollars to the state’s economy. Florida leads the southeast in farm income. Florida produces 75% of US oranges and contributes 40% of the world’s orange juice supply. Florida is also the largest producer in the country for other citrus products, sweet corn, and green beans. Florida also largely produces tomatoes, strawberries, sugar cane, cattle, and numerous other crops. The top counties for agriculture production in the state are Palm Beach, Miami Dade, Hillsborough, and Hendry. Another major component of the economy is the space industry. The Kennedy Space Center is located in Brevard County and helps provide the 33,000 jobs and 4.1 billion dollars that the space industry provides the economy. Florida ranks 4th among states in aerospace employment. International trade is another large component of Florida’s economy. 40% of all exports and imports to Latin and South America pass through Florida. Over the last ten years, the total value of Florida’s merchandise trade has reached 162 billion dollars in value, a 135% increase. Florida ranks 6th in the U.S. in 2012 in exporting goods produced or with significant value added in the state. Real estate is another worthy asset of the Florida economy. Florida’s real estate industry is driven by inward migration. It grows because people in other parts of the world want to live in Florida. Florida real estate was hit hard by the recession, but the economy is slowly turning around, and the real estate market will follow. As a result of retiring baby boomers, in 2013 more people moved to Florida than 2008, 2009, and 2010 combined. The population increased 2.7% in Florida from 2010 to 2012, compared to a 1.7% increase for the entire country. Inward migration is increasing demand for properties, and property prices are likely to reflect this. Southeast Florida contains Indian River, St. Lucie, Martin, Palm Beach, Broward, Dade, and Monroe counties. The Tampa Bay region is home to Citrus, Hernando, Pasco, Hillsborough, Pinellas, Polk, Manatee, and Sarasota counties. East Central Florida is home to Brevard, Osceola, Orange, Seminole, Lake, Volusia, and Sumter counties. The Northeastern region of Florida includes Baker, Clay, Duval, Nassau, Putnam, Saint Johns, and Flagler counties. The Northwest region of Florida borders the Gulf of Mexico and runs from Pensacola to Tallahassee. It includes Escambia, Santa Rosa, Okaloosa, Walton, Holmes, Jackson, Washington, Bay, Calhoun, Liberty, Gulf, Franklin, Gadsden, Leon, Jefferson, and Wakulla Counties. Southwest Florida consists of Charlotte, Lee, and Collier counties. South Central Florida includes Hardee, Highlands, Okeechobee, DeSoto, Glades, and Hendry counties. The following table shows the population, economic activity, population growth, mean household income, number of housing units, and median home value among the different regions. These numbers come from the United States Census Bureau. Population describes all persons who are "usually resident" in a specified geographic area. Economic activity is a sum of the region's manufacturer shipments, merchant wholesaler sales, retail sales, and accommodation and food sales. This number gives an idea of the size of the economy and a basis for comparison. The population growth value shows the difference between the 2012 population estimate and the 2010 population estimate. This number can be used to determine how many people are moving in or out of an area and therefore what the future demand for real estate may be. Median household income includes the income of the householder and all other individuals over 15 years old in the household. This figure represents the average income of residents and gives insight to the amount of wealth in an area. The "housing units" includes houses, apartments, mobile homes, group of rooms, or single room that is occupied as separate living quarters. Median home value shows the average value of residential properties. This figure, again, provides insight to the wealth of the residents.